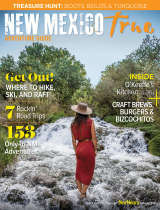 It is our goal to promote New Mexico as a top tourist destination by offering the best information to visitors. Please use this form to communicate upcoming events, popular attractions or web updates/edits for our team to take under advisement. Filling out this form with the most concise and accurate details will ensure your information is correct and up-to-date. For existing accounts Log in Here.